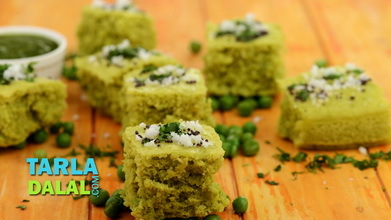 Amiri khaman is nothing but a spicy tea-time snack made of crumbled khaman dhoklas tempered with garlic and mixed with pomegranate seeds and coconut. 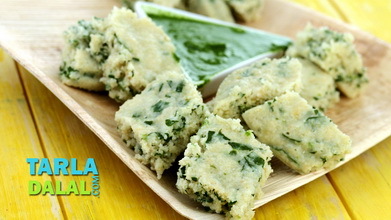 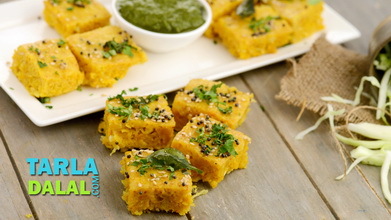 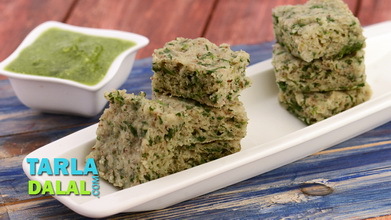 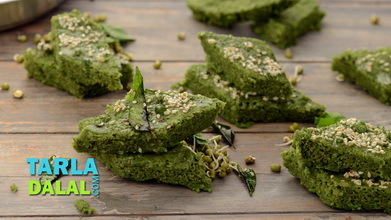 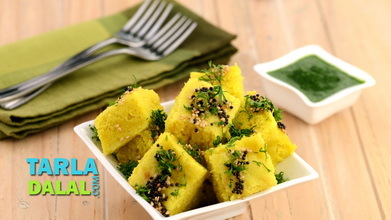 Why, we can even say that this recipe was invented with the intention of making good use of leftover khaman dhoklas! 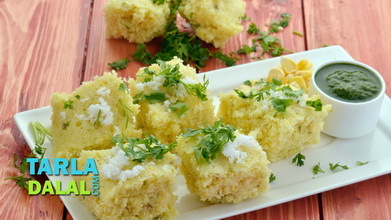 Serve garnished with sev and relish the unique flavour of this quick recipe. 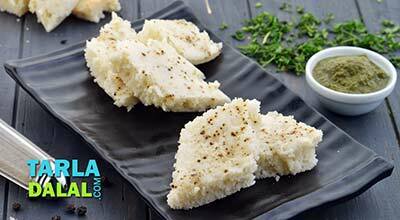 Those who do not like garlic can omit it. 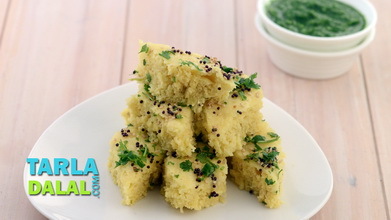 Pour this tempering over the crumbled dhoklas and mix well.